A senior leader in IT, Chris has been at MS for the 6 years. She currently leads a team in Microsoft Customer Services and Support that focuses on employee experience and two key pillars; culture and environment. The team are at the forefront of transformation in support; leveraging employee engagement, work health balance and workplace design for customer success. 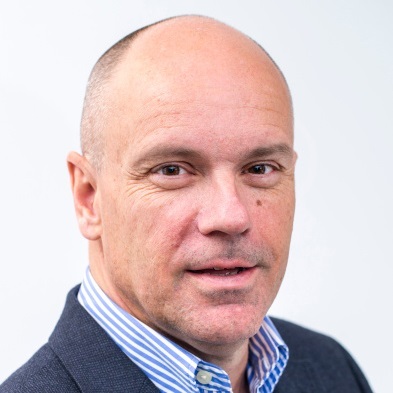 Stuart is a passionate and enthusiastic leader in Innovation, process improvement and lean methodology, working within Waitrose and Partners, a tier one British Grocer. 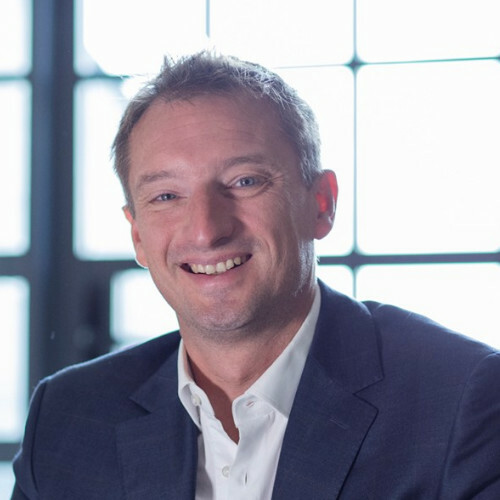 Having spent 16 years running supermarkets and understanding first hand how inefficiency and poor processes lead to employee frustration, Stuart is now leading Retail innovation for Waitrose having delivered £8m savings to date. 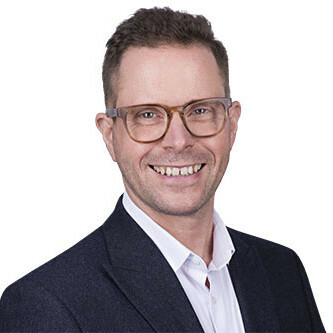 Stuart specialises in idea management, having launched the Waitrose Partner Ideas scheme, designed to give a voice to the employee and take ideas from grassroots through to delivery. Stuart knows first hand that harnessing the power of the workforce to solve business problems and using a tried and tested methodology delivers fantastic results. Starting in hospitality 18 years ago, I have worked towards designing and implementing a variety of L&D functions for various businesses. From setting up an international training school in Ireland to creating welfare to work programmes in London for major events such as the Wimbledon Championships and the Olympics I have experience in all aspects of L&D. I have worked for major companies such as Compass Group and currently Be At One, building various training and development initiatives from front line to director level. I have a speciality in setting up L&D departments with both vocational and in house abilities, utilising digital and face to face learning throughout. 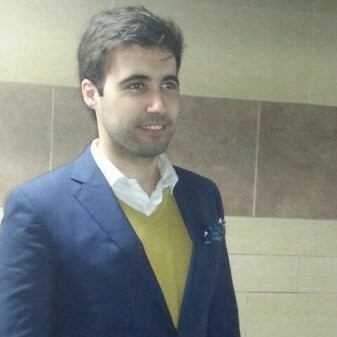 Pablo Camba has been working as a HR Professional during the last 7 years. Within that time, he has had the opportunity to run different roles HR related within different countries of Europe, having always as main priority the employee’s wellbeing. Currently, he holds the Head of Services position within in Inditex UK what means working along 6 different brands and over 100 stores and 4000 employees. Pablo and his team of HRBP provide support to different lines of the business and create the strategy that drives the business to deliver exceptional HR service to their internal customer. 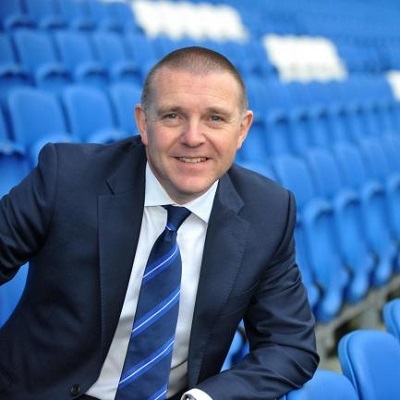 Paul Barber joined the board of Brighton & Hove Albion FC as the club’s Chief Executive in June 2012 and was promoted to become the club’s Deputy Chairman in November 2018. In Paul’s seven seasons with the club, Brighton & Hove Albion has reached three play-off semi-finals, finished 3rd in the EFL Championship in 2015/16, and secured automatic promotion to the Premier League in the 2016/17 season. The club finished 15th in its first ever Premier League season. Paul joined Brighton & Hove Albion from Vancouver Whitecaps FC where he became the first British football executive to lead a club in to Major League Soccer in 2011. Previously, Paul was Executive Director of Tottenham Hotspur FC, where he enjoyed EFL Cup Final success with Spurs at Wembley in 2008, against Chelsea, and suffered disappointment in the same competition just a year later when Spurs lost to Manchester United in the 2009 Cup Final. Prior to this, Paul was The Football Association’s first ever Director of Marketing, with responsibility for The FA’s commercial division, marketing and communications. He was also general manager for the England team at the UEFA European Championships in 2000 and at the FIFA World Cup in 2002. Paul currently serves as a member of The FA Council as one of the Premier League’s elected representatives, and also represents the Premier League as a member of the Professional Game Board which, with representatives from all the major footballing bodies, oversees professional football in England. 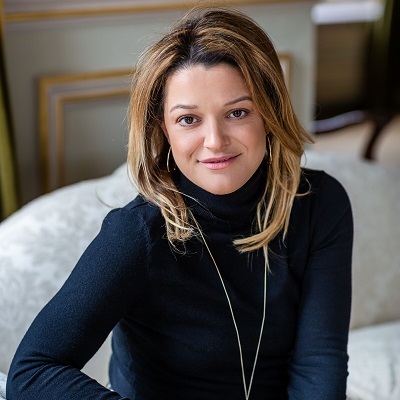 Sanja Licina, Ph.D., is a leader of Globant’s Future of Organizations studio, where, by leveraging technology and AI, she crates platforms that help organizations transform their culture. She is a huge believer that technology can enhance humanity, and that we have a tremendous opportunity to build a better space inside of organizations to help employees become the best versions of themselves. Prior to joining Globant in 2017 she led several different business units at CareerBuilder. Sanja has managed international teams while living in Chicago, London, and currently from Buenos Aires. Sanja graduated with a doctorate in Industrial and Organizational Psychology from DePaul University and later obtained an executive MBA from Kellogg School of Management. She has spoken at numerous conferences and some of her research has been featured in publications such as TIME, The Wall Street Journal, Fast Company and Forbes. 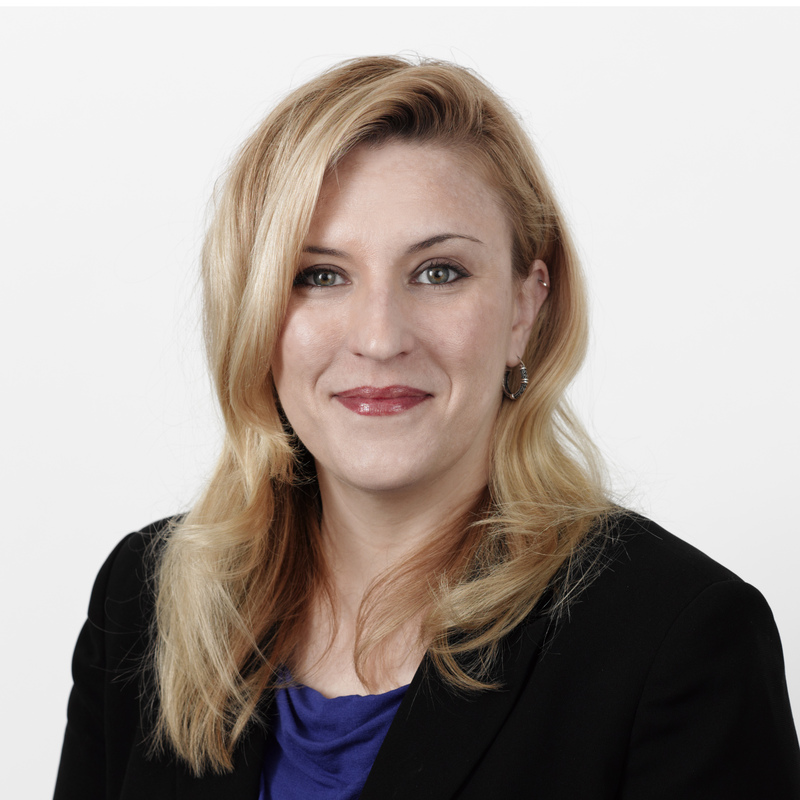 Antonia Dietmann is a senior HR leader at HM Courts & Tribunals Service (part of the Ministry of Justice). She has previously been Deputy Director of Organisation Capability and Head of Employee Engagement supporting employees through the largest reform of the justice system in history. Early experiences researching workplace bullying amongst teachers and sexual harassment in the Armed Forces impressed upon her the negative impact of working relationships gone wrong. As such, she is passionate about the fundamental need for meaningful work relationships as a key driver of successful business outcomes. To enable this, Antonia brings psychological evidence and creativity together to deliver sustainable interventions at a large scale. These draw on nearly 15 years’ experience as an Occupational Psychologist with expertise in research/ evaluation, organisation & leadership development, inclusion and wellbeing. During this time Antonia has also been Chair of the UK’s Division of Occupational Psychology (part of the British Psychological Society). In recognition of her high-quality work on inclusion at the Department for Work & Pensions, Antonia was awarded the UK’s Occupational Psychology 2017 Practitioner of the Year. She has also won the Association of Business Psychology’s Excellence in Employee Engagement award for developing HMCTS’ people proposition. 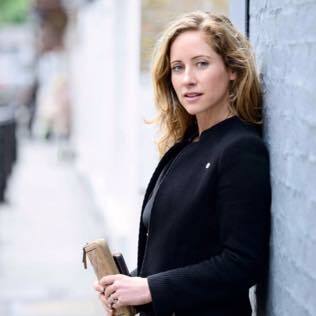 Antonia has worked in three of the ‘big five’ government Departments, all of which were undergoing major organisational transformation, after starting her career at the University of Sheffield and Rolls-Royce. She is currently pursuing a doctorate focusing on high-quality working relationships in organisations. 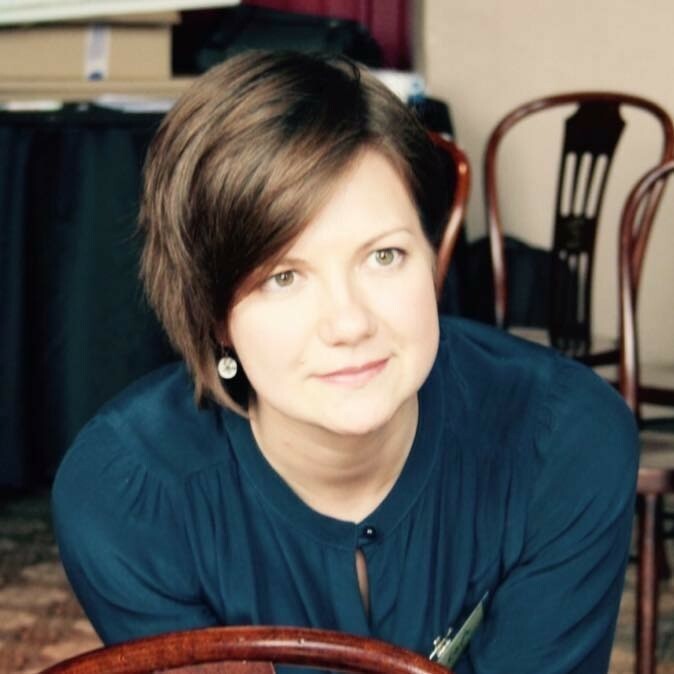 Emily Stanley is an Employee Engagement Consultant at HM Courts & Tribunals Service (part of the Ministry of Justice). Emily is passionate about creating the sort of working environment in which we can all thrive, fulfil our potential and support each other. She draws on 13 years’ experience designing learning and development solutions and is a lean practitioner in her role. 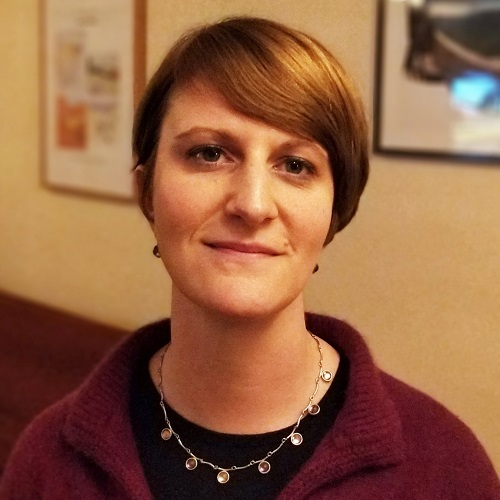 Now, Emily is supporting employees through the largest reform of the justice system in history by designing and delivering engagement consultancy and interventions. As part of this role she leads a network of Lead Engagement Champions comprising senior leaders across the business. Emily’s motivation is to create an engagement confident organisation where leaders at all levels understand what true employee engagement is and how they can contribute to achieving it. She also strives to support them to make best use of their engagement insight gained through employee surveys and other sources. Emily also leads on embedding organisational values in HMCTS and delivered a highly innovative communications campaign to raise awareness of our values and encourage colleagues to live them every day, particularly as we move through change. The scale of the campaign, creativity, and opportunities to show our organisation at its best in our ‘year of values’ campaign had not been tried before. Emily was shortlisted for a HM Courts & Tribunals Service award in recognition of this. I have had a wide variety of roles from an initial apprenticeship as a decorator to a charge nurse in one of the busiest accident and emergency departments in Europe. I specialised in Occupational Health and have worked in this area for almost 25 years. I have worked with a large number of businesses from manufacturing, car makers, food production, police and fire services, local government and a dog food manufacturer. Mental health and the impact on business, employees and wider families has grown exponentially. I have worked for KP Snacks for almost 3 years in which we have seen massive changes in our culture of how we support colleagues and the business. The strategy we have implemented feels like it reflects the business and our values and behaviours in which we place valuing our people at the top of our agenda to keep colleagues energised and engaged. Tim started his career with Price Waterhouse then moved into Human Resources starting with Reward and Policy roles before taking on more Generalist activities. 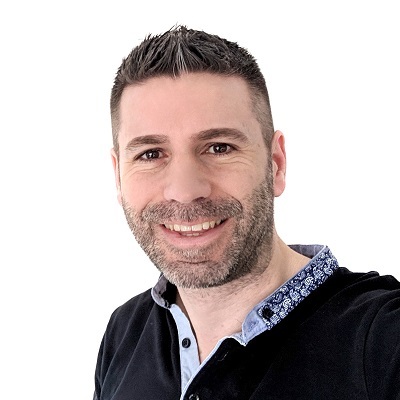 He is currently the HR Director, Corporate for Nomad Foods, whose brands include Birds Eye, Aunt Bessies, Goodfella’s, Findus and Iglo, covering markets from Portugal through to Finland. He has a passion for Employer Branding and Engagement and is currently developing the employee value proposition for Nomad Foods – a new Company with a great heritage. This builds on previous interventions at Nomad Foods, including a common set of values, “our way”, and one HR voice, “Iglo&Me”. These follow previous initiatives such as “My Benefits” at Shell and “MyCar” at BOC. Broad HR expertise includes Strategy, M&A, Employer Branding & Engagement, Reward & Policy Development, Business Partnering, Change Management, Talent Management, Recruitment, HR Systems and HR Services. 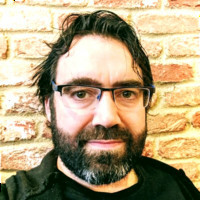 He has worked in complex international, multi-business matrix-delivery environments including Nestlé, Shell, L’Oreal (The Body Shop) and Nomad Foods. A commercial UK and International Human Resources Director with a track record of delivering Sales, Project growth and employee engagement at Global, European and National level. Powerful combination of successful strategic and operational leadership in both large and small organisations. 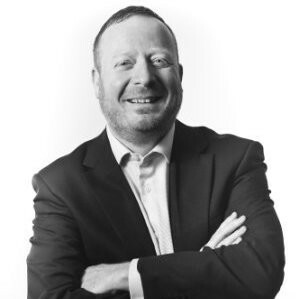 Martin has worked for Hertz, Burger King, Rentokil Initial, Private Equity backed Mayborn Group, Interpublic Group and St Andrew’s Healthcare a top 20 UK Charity. At Burger King he was opening one new restaurant every working day across 37 countries in Europe. At Rentokil he was responsible for over 30,000 employees and at Mayborn opening new markets across Asia, Eastern Europe and North America. I love people and I am passionate about employee engagement and development. I am a practical and commercial OD and HR professional with a track record of international strategic and operational roles. 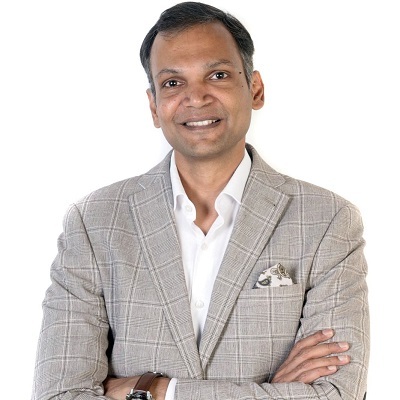 Over the years I have gained experience across a broad spectrum of HR disciplines including learning and development, business partnering, talent management, employee engagement, employment relations, change management, HR setup and management, resourcing, remuneration, global mobility and business expansion/restructuring. I have advised corporate and management teams, managed cross cultural/remote teams and have a proven record of achievement and delivery of complex and regional HR projects. I have also been a coach to external clients in fee earning roles across various sectors. Strengths include strategic business partnering, project delivery within tight timescales and consistently exceeding demanding service standards, resilience to work in a demanding environment with the ability to manage and drive forward change, exceptional interpersonal and communication skills both verbal and written. Nichola has over 20 years experience in the OD arena. 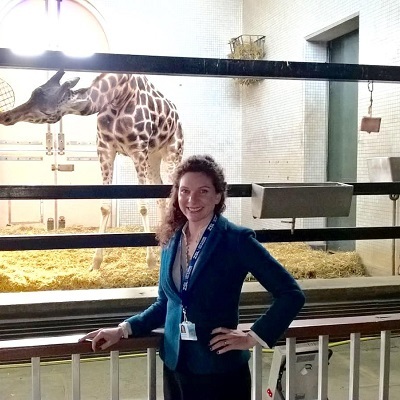 Before joining ZSL, Nichola worked as a Management Consultant providing high level facilitation to complex programmes and as a senior manager in the Big Lottery Fund. More recently Nichola worked at the Natural History Museum and at Catalyst Housing Group leading culture change, employee engagement and development, achieving IiP accreditation and a coveted place on the Times Top 100 Best Companies. Nichola with her team at ZSL is responsible for the development of people, employee engagement, leadership development and performance management. 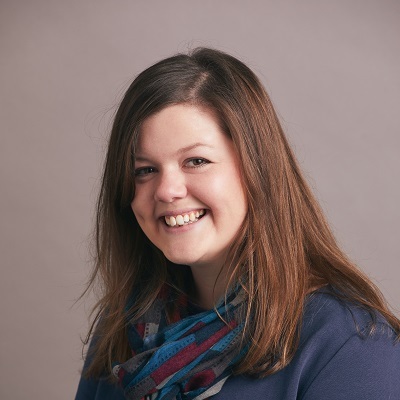 Nichola is a qualified coach with the University of Edinburgh Business School, a fellow of the Chartered Institute of Personnel and Development (CIPD) and has an MSc in organisational psychology. 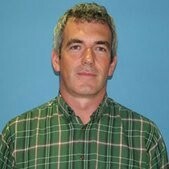 Chris Newstead MCIPR has been Head of Internal Communications at Wellcome for the past 8 years. For the 15 years before he was in marketing and PR working in telecoms & broadcast. 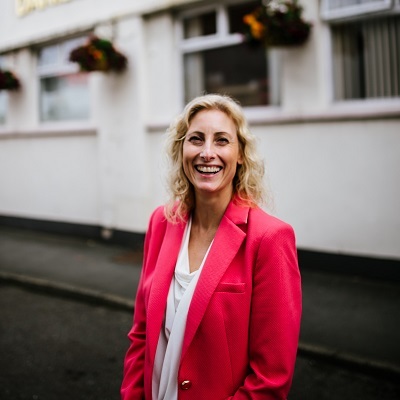 Jo Carlin is the Director of People and Development at Daniel Thwaites PLC, a hospitality company established over 200 years ago that now owns circa 250 pubs, characterful inns and hotels. Having joined in 2016 she is transforming the way the business approaches the management, development and engagement of its 1600 workforce, who are spread the length and breadth of the country. Having previously worked for Pirelli as UK HR Director; Danone as Head of HR within their Medical Division; and John West as HR Director Europe, Jo has experience of both national and international companies. She thrives on getting to the heart of the issue and delivering solutions that enable businesses to move forward in a positive way. Regardless of the size of the business, she is passionate about developing people and creating environments which engage and inspire. In this leadership role, Melissa is responsible for developing, transforming and executing global talent strategies that drive a high-performance culture of innovation and inclusion at Bayer. 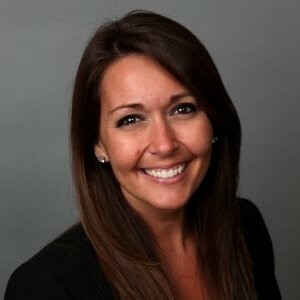 Melissa brings her nearly 10 years’ experience at Monsanto, acquired by Bayer, to lead enterprise wide talent transformation. 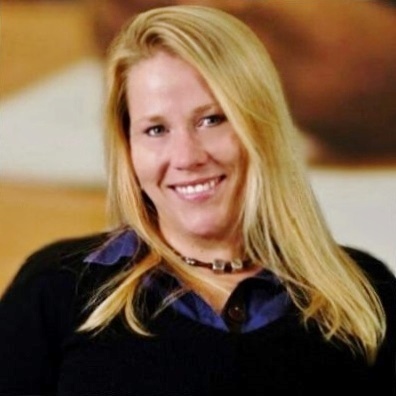 Through best in class operational capabilities and analytics, Melissa developed a global function at Monsanto responsible for attracting talent, development, ensuring an inclusive environment, shaping a digital culture, and delivering talent needs that align to strategic business goals and preparedness for the future workforce. 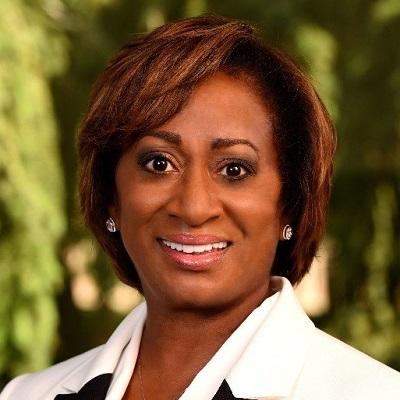 She has been recognized as a Diverse Business Leader and as a Top Executive in Corporate Diversity. 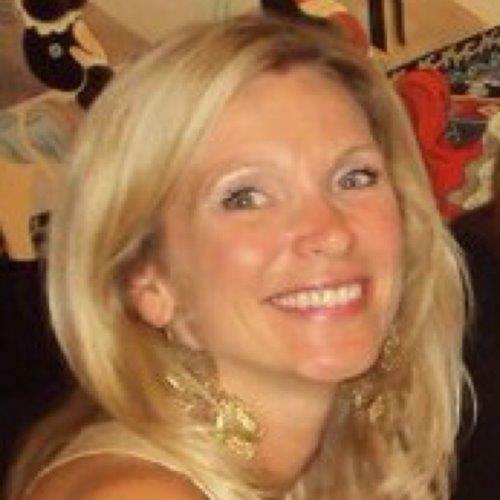 Melissa began her career at Spencer Stuart Executive Search and later served as Senior Vice President of Talent Acquisition at Whirlpool Corporation and Wachovia. 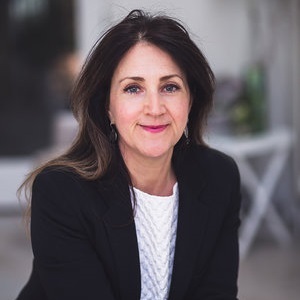 Responsible for creating and implementing an employee engagement strategy around a values-based culture, in a third-generation family business that has expanded rapidly over the past six years, Helen brings a huge amount of passion, experience and energy to her subject. The business ranked as 6th in The Sunday Times 6th Best Small Company to Work For 2016. Helen has studied, visited and engaged with a range of companies, both local and international, in an effort to understand what defines and achieves success in the world of employee engagement. 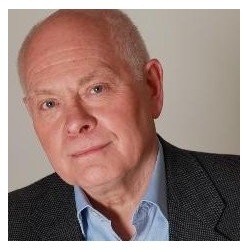 Tony has over 25 years’ experience at HR director level, primarily in the NHS. This included roles at The Health Protection Agency, The Royal Brompton & Harefield NHS Trust and The Royal Surrey Hospitals NHS Trust, where he also led on facilities and communications. 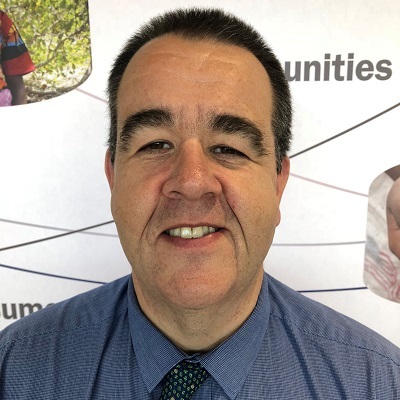 Tony was HR Director at Public Health England and its Chief Adviser for Diversity and Inclusion and Staff Wellbeing prior to taking up his latest role in October 2018. Tony is working with CIPD colleagues on a range of national initiatives across diversity and inclusion, employee wellbeing and employee engagement. 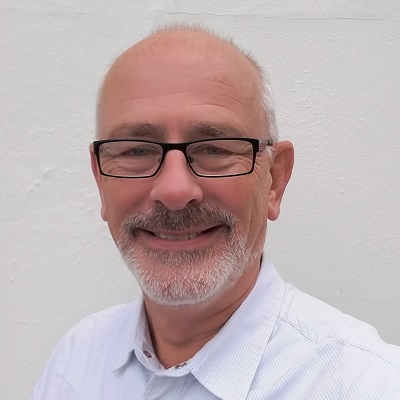 Tony is also a member of Professor Sir Cary Cooper’s National Forum for Health and Wellbeing at Work, a Trustee at the Royal Society for Public Health and is a regular presenter at national employment events. Denise has worked in a range of sectors and roles in her 20 year plus career which started in the hospitality industry. She has been in her current role for 4 years and had lead a number of corporate projects in that time. 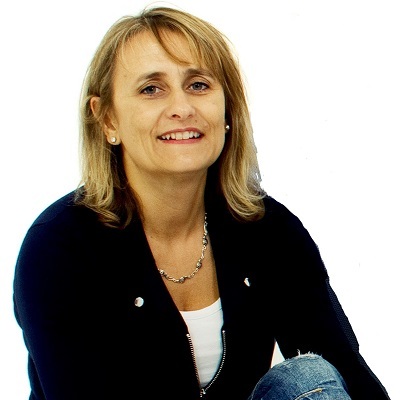 Denise has held a number of Organisational Development roles, in the NFP sector, since 2003. 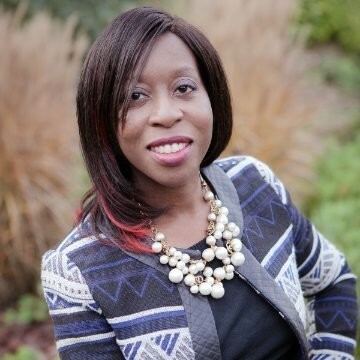 Denise is a HR professional with a strong Internal Communications focus, has trained as an OD Practitioner and a holds a certificate in Change Management. She has also been on a Board of Trustees for 9 years as the HR specialist. Outside of the field of HR, Denise is a trained image consultant and applies her skills in this area to work with both adults and in schools. She is described as positive, energetic, engaging, supportive and professional. He helped transform the Housing Ombudsman Service to be more strategic and outcomes-focused using a range of contemporary approaches, including strengths-based and appreciative inquiry. Paul increased employee engagement to 80 per cent on a 94 per cent response rate. He was also instrumental in developing and delivering a sector development strategy supporting mindset and behaviour change within the rented social housing sector, shifting the focus from complaint handling to effective dispute resolution. 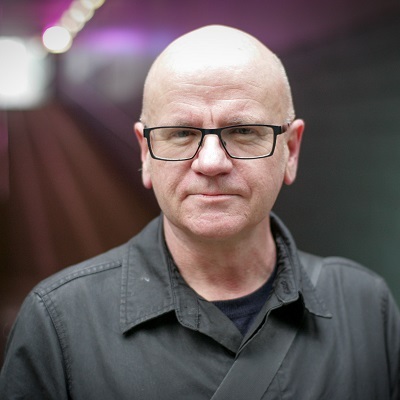 Currently working with Trinity Laban Conservatoire of Music and Dance, he is advising on leadership development, modernising the HR operating model and piloting strengths and employee driven workplace innovation approaches. Paul is a leadership development and OD professional with over 24 years’ experience. He is a Chartered Fellow of the Chartered Institute of Personnel and Development (CIPD), a Fellow of the RSA and a member of the leadership team of the RSA fellow-led Reinventing Work Network. He has recently been invited to contribute thoughts to the newly formed Engage for Success movement’s Meaning in Work Thought and Action Group. Certified Compensation Professional, Bachelor of Law (B.A, L.L.B), M.B.A (HR), Gold Medalist in Indian Constitutional Law. Martha is Head of Communications and Brand Experience, Wholesale Banking EMEA for global bank ING. 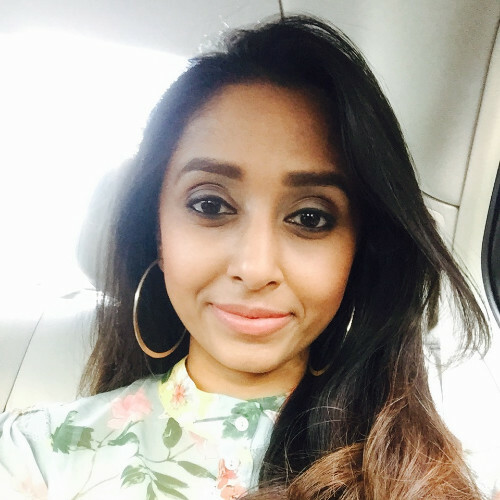 She is passionate about storytelling, strategy, diversity and social media and manages the team responsible for external and internal communications, and UK marketing such as marketing communications, events and sponsorships. Her experience in marketing and communications includes almost 10 years as a journalist on daily, weekly and Sunday newspapers and magazines before joining ING in 2009. Martha was previously a spokesperson on consumer economics and appeared on BBC News, Sky News and CNBC during that time. ING UK piloted Dynamic Signal in 2017 to increase employee advocacy and continues to use the platform. 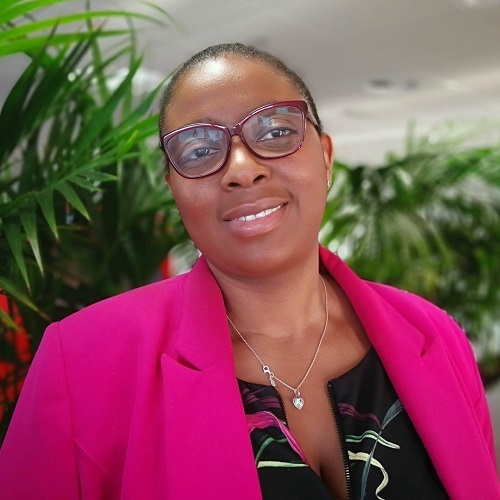 As chair of the Diversity and Inclusion Forum UK, she was part of the programme to increase adoption of flex working in 2018/19 – a topic she will speak on at the Engage Summit. 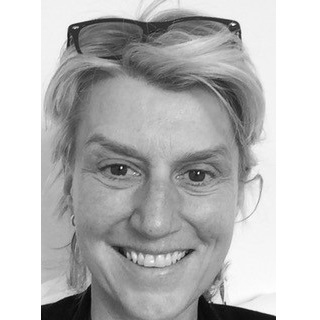 Katherine is the People Director at Spektrix, the UK’s leading ticketing platform for Arts businesses. 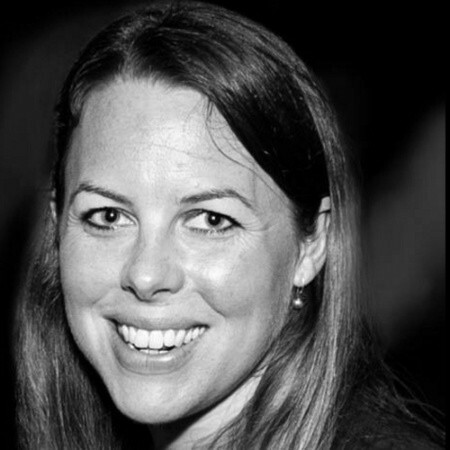 She’s responsible for recruiting and retaining the Spektrix team in the UK and North America and is particularly focused on building a diverse talent pipeline and fostering a company culture that enables its people to thrive at work. 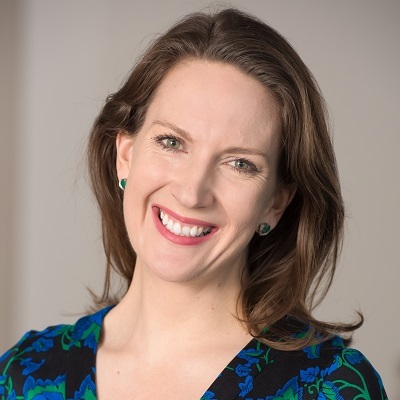 Having started her career in project finance, Katherine has held a number of strategic and commercial roles in start-ups and established businesses in different countries and has a proven track record in delivering high quality organisational change projects. 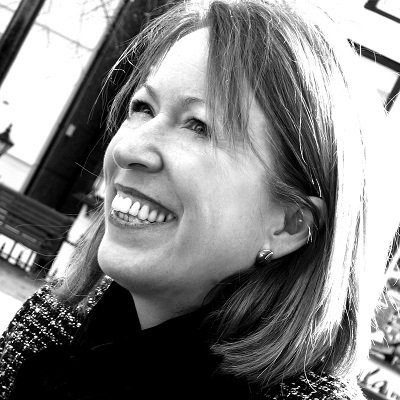 Debbie is a Chartered Marketer with 20 years’ experience in marketing, engagement and change communications. Skilled in the design, development and delivery of award winning strategies to support sustainable growth and transformation within highly competitive markets. Debbie’s passion lies in supporting organisations to embrace change and recruit, retain and develop their people. Natasha currently works as the HR Director at Ofwat (Water Services Regulation Authority) – a non-ministerial Government Department. 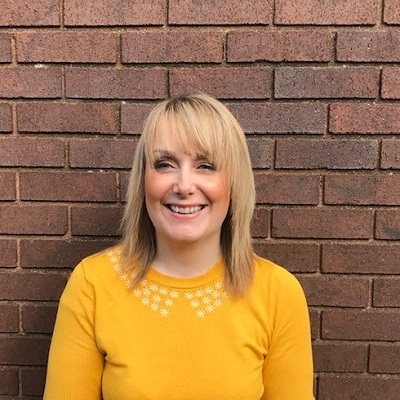 Natasha has worked as a HR professional for more than 16 years, starting her early HR career working in the Private sector for retailers such as Next and Marks & Spencer, before joining the Civil Service in 2007. 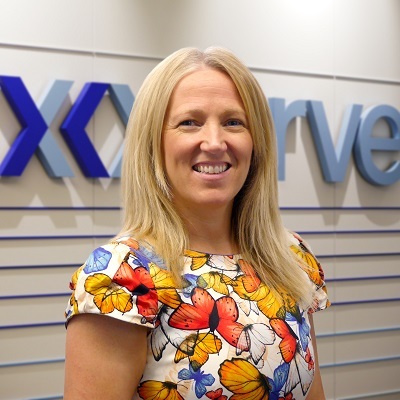 During her time in the Civil Service Natasha has worked at the Highways Agency in various HR Business Partner role, at HMRC with her latter role being as the Senior HR Business Partner responsible for Talent and Capability for Enforcement and Compliance (a workforce of circa. 25,000). Alongside her work at Ofwat and family life, Natasha volunteers as a school governor to a local special school for children with autism. For any company to be successful, they need engaged, motivated employees. 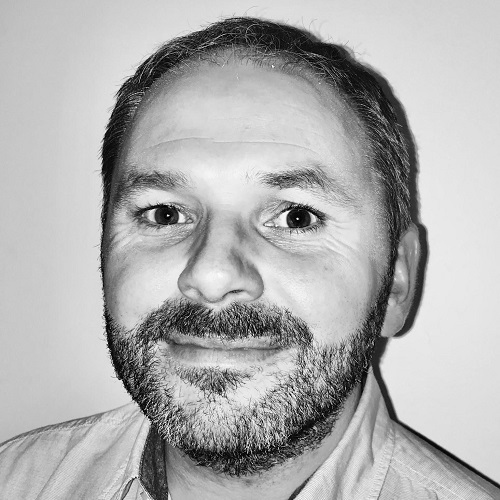 Paul specialises in using effective internal communications to drive culture change and improve business performance. As DAZN has grown, Paul’s central team have played a key role in improving engagement and enablement across the business through a blend of global and local initiatives. One of Paul’s current key focuses is redefining DAZN’s employer brand and employee value proposition as they continue their exciting story of growth. Paul has over 12 years of experience in communications and change management. He is a certified member of the Institute of Internal Communications, holds a PgDip in Internal Communications from Kingston University, and also an MA in Modern History from Reading University. Vikki is an HR executive and practitioner with experience of leading HR functions in the public and private sectors, nationally and internationally. For many years she led HR teams in Nike Europe and globally, and more recently she was the Chief Talent Officer for Plymouth University before setting up Matthews & More, her consulting business in 2016. Vikki continues to work with Plymouth University as an Associate lecturer in HR supporting their MBA, CIPD and leadership programmes. 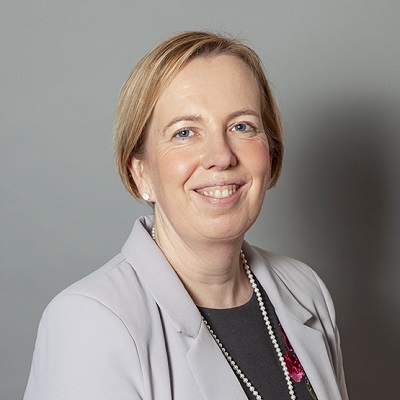 Vikki Chairs a Multi Academy Trust and is on the Board of Torbay and South Devon’s NHS Foundation Trust as the Non-Executive Director, responsible for culture and employee engagement. She is also the Company Secretary for a small education charity which uses the self-managed learning approach to increase outcomes for young people who are not in mainstream education. Richard is Professor of HRM and Employment Relations at Plymouth University. He is one of the UKs leading experts in the management of workplace conflict. Richard started his working life at the National Union of Mineworkers where he was Head of Industrial Relations, and subsequently worked at the Universities of Leeds and Central Lancashire. He is an author of ‘Managing Employment Relations’ the core CIPD text for Employee Relations and a co-editor of a book ‘Reframing Resolution’ published in 2016 by Palgrave Macmillan. His work has been published in a wide range of leading international academic journals including the British Journal of Industrial Relations, Human Relations, Human Resource Management Journal and Work Employment and Society. 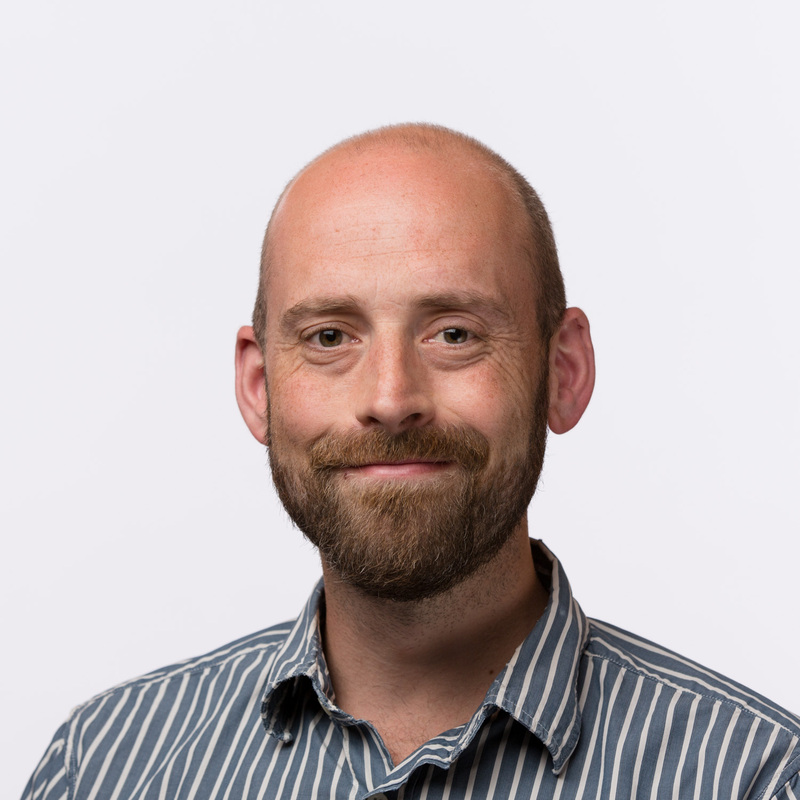 He is currently working on a major project funded by the Economic and Social Research Council (ESRC) investigating the link between conflict competence, employee engagement and productivity. A civil servant in the European Commission. With a solid background in learning and development and expertise in internal communication, I have been working with staff engagement and cultural change questions since 2013. My role has been to connect the dots between the strategy and implementation, to create opportunities for real conversatioins to happen, to hear what has not been said and read what has not been written. I’m always curious to learn what makes the people to go an extra (s)mile. As an in-house consultant at the European Commission over the last 7 years my work includes a variety of strategic consulting services such as supporting clients with consulting in different areas linked to organisational development; identification and analysis of customer and stakeholder needs, designing and hosting engagement processes in all Commission services and with managers and staff at all levels: senior leadership development seminars, large-scale strategic conversations, stakeholder consultations, expert meetings, policy-making workshops, long-term change projects; supporting the development of the participatory leadership community of practice. I am confident that the participatory leadership practice helps deepen individual and collective learning and creates shared responsibility for action. After I left my home-city Vilnius 14 years ago, my road has been that one of a Lithuanian discovering how it feels to be European. I hold a graduate degree in Organisational Development and Management Consulting from the University of Lund. I love spending time with my family and friends, being challenged, travelling the world and discovering the wonders of gastronomy (a bit of a foodie :)). Sam is accountable for the group wide People Strategy which incorporates the Security, Construction Logistics and Aviation divisions within the Wilson James Group. Prior to Wilson James, Sam held several HRD roles across the public and private sector. 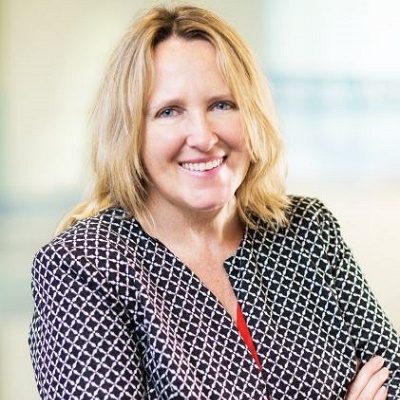 Her experience has seen her lead significant people and technology transformations including deployment of cloud based people solutions, using technology to enable mobile and flexible working and supporting integrated learning for complex partnerships. Prior to working in HR, Sam had a 15 year career in recruitment, working at board level in both the UK and Australia. Here she delivered a range of solutions including RPO for large blue chip organisations where technology transformation enabled improved service delivery and organisational efficiency. Grainne Kelly, Human Resources Director and Security Operations Centre Director, started her career on the Safeway Graduate Management programme. 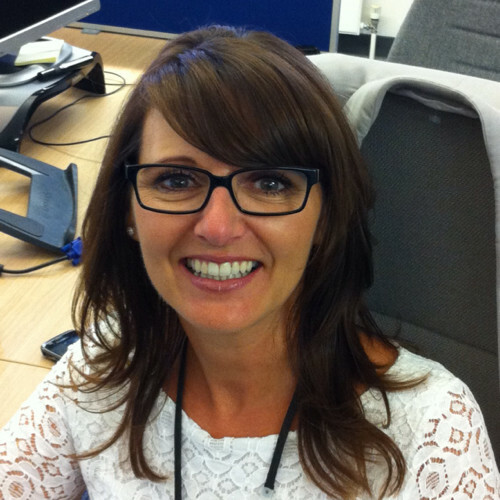 Following four successful years Grainne joined the security industry as a contract manager. With over 24 years’ successful experience in the sector, Grainne held several senior management and director level positions with both Reliance Security and Securitas UK. In her current role Grainne combines both her commercial and operational excellence expertise, with her passion for people and employee engagement. In a traditionally tough sector, Grainne has been at the forefront of driving the Securitas employee engagement strategy to redefine every touchpoint of the employee life cycle. With a particular interest in promoting fair pay, gender diversity and health and wellbeing, Grainne has been instrumental in Securitas UK being certified as a Top Employer UK 2019 and recognised as a service provider working with the Living Wage foundation. Grainne won the Woman in Security Award 2015 for her contribution to the Security Industry and is an alumnus of the prestigious University of Stirling. Adrienne is the Head of Internal Engagement/Head of Network at CDC Group where she has built a new internal communications function at the organisation over the last two and a half years, while defining and shaping its culture as it grows and expands globally. 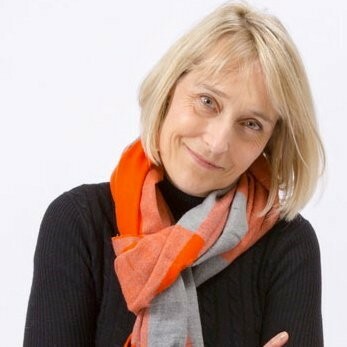 Prior to that, she spent 9 years at Pearson where she held global roles focused on strategic internal messaging, engagement and relationship-building. Adrienne has lived in the USA, Japan, China and UK each for several years and holds a Master’s of Education in Applied Linguistics, a Master’s of Research in Intercultural Communication and is currently doing her doctoral research on organisational culture, business management and anthropology approaches to corporate values and internal culture. Gabrielle has spent over twenty years in HR working within technology, marketing and media businesses and now leads CDC’s HR generalist team and its Learning & Development function. Prior to joining CDC in 2017 Gabrielle spent twelve years at Aimia, the global marketing and loyalty analytics company behind the UK’s Nectar card. Here she moved from a pure HR role to focus on building a strong corporate culture – embedding a social purpose into all aspects of the employee experience, building a more diverse workforce and introducing measures to increase the proportion of women in senior positions. Gabrielle has a degree in English from the University of Oxford and an MA in South Asian Studies from SOAS, University of London. Her early career was spent in the arts – in publishing, documentary film making and cultural tourism. Along the way she has travelled extensively and lived for two years in the United States. I enable customer and employee engagement through behaviour change. In my career, I have helped FTSE and global companies produce change, enhance employee and customer engagement, and grow tomorrow’s leaders. I do so by connecting financial and strategic factors to organisational and behavioural change. Capabilities include leadership development, change, team development, L&D strategy, employee engagement and enhancement of organisational culture, and coaching of senior leaders. I have also helped companies navigate change and implement change programmes with buy-in at all levels. Megan is a PhD candidate at Leeds University Business School (LUBS) and the in-house HR specialist at CogntionX, an AI specialist research house. Her work is looking at the AI market for HR. Her interests include the practical application of AI in HR and its impact on the future of work. Bringing together more than 10 years of professional work in business and HR with an extensive academic background, Megan’s goal is to bridge the theoretical/practical gap with her research. In addition, providing HR professionals and business leaders with insights and actionable advice around the use of AI. Michelle Carvill is a strategic marketer, digital agency founder and three times published author in the digital marketing and social media space. Her latest book, published by Kogan Page, May 2018 – ‘#GetSocial – Social Media Strategy and Tactics for Leaders’, helps leaders and game changers understand social media from a strategic perspective and gain confidence with the social technologies and digital transformation. Proud to be Shortlisted for The Business Book Awards 2019 – Leadership Category. Michelle’s mission is two-fold; 1) Educating leaders, leadership teams and game changers (whether technophobes or tech-savvy) about the digital and social landscape and the competitive advantage social media and digital transformation can bring and 2) Equipping leaders and game changers with enough strategic insight and practical tactics so that they can build effective digital footprints both personally and for their organisations and communicate confidently. Michael is director of employee experience at Peakon, the employee engagement platform. As one of the organisation’s first employees he joined the fledgling business in 2015. Prior to his current role, he was instrumental in formulating the methodology that unpins Peakon as the director of organisational development science. He also supported enterprises in their adoption of real-time employee feedback and agile HR processes, working closely with Capgemini, easyJet, and Reach plc. Today, Michael ensures that the day-to-day experience of working at Peakon aligns with the organisation’s values and enables everyone to reach their full potential. Originally from the UK, he has spend the last eight years living in Copenhagen. He now shares his time between Peakon’s offices in the Danish capital, London, New York, Berlin and Auckland. 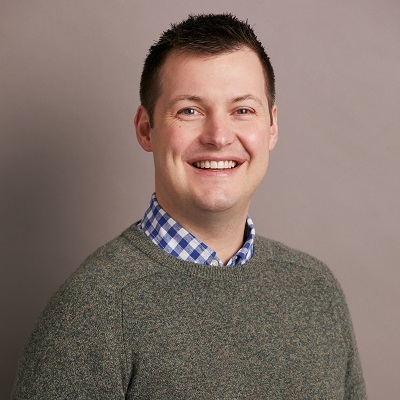 David heads up Content and Code’s products team and leads clients strategies for implementation of intranets and digital workplaces on Office 365. David has worked with Microsoft for over 15 years and delivered 100’s of intranet projects both in a technical and a leadership capacity. David now splits his time between managing Fresh – Content and Code’s intranet platform – and helping clients get employees engaged with all that the Microsoft cloud platform has to offer. Adam leads the European Communications department for Office Depot Europe regarding digital projects, user adoption and change communications where technology and design are the primary focus. 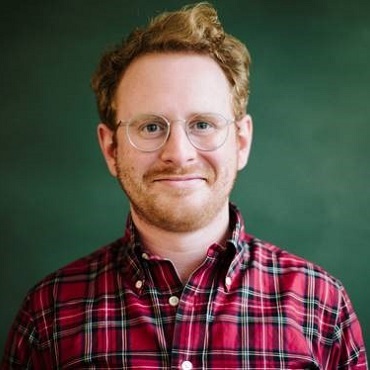 Having a background in video production, design, project management and communication writing, Adam’s focus on people bridges the gap between technology implementation and effective communication. Scott is SVP of global growth and partner at Interact. Working with customers like ASOS and the European Central Bank, Scott is responsible for driving growth across all sectors. He has a passion for technology and gin. Occasionally the order is reversed. Paul is the Chief Executive of Investors in People (IIP). In 2016, Paul led the buyout of IIP from the UK Government and the organisation is now a Community Interest Company. IIP’s purpose is to enable organisations to succeed by realising the potential of their people. IIP works with over 10,000 IIP accredited organisations, providing digital diagnostic tools, advice, support and assessment against the internationally recognised IIP Standard. Our network of 350 skilled and experienced Practitioners work with organisations across 70 countries, but predominantly in the UK. 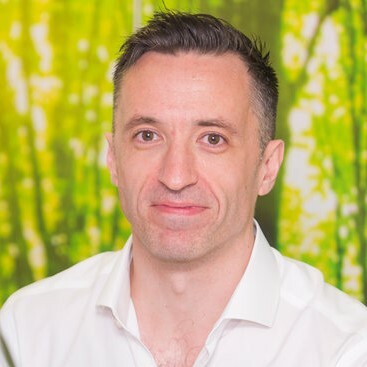 Prior to leading IIP, Paul was a Director at the UK Commission for Employment and Skills, an executive non-departmental body that offers guidance on skills and employment issues in the UK. He led the development and implementation of strategic programmes to create sustainable skills solutions with joint investment from industry and government. He previously worked in the Scottish Prison Service for 4 years leading on change management programmes. His early career was in the Civil Service. Paul studied Human Resource Management, graduating in 1994. He is a Chartered Fellow of Chartered Institute of Personnel and Development and a Companion of the Chartered Management Institute. Amee has been working for Investors in People for the last 2 years and has been the Client Engagement Manager for the past 5 months. Padmanaban believes that communication and collaboration are the keys to unleashing the full power of workplace talent. 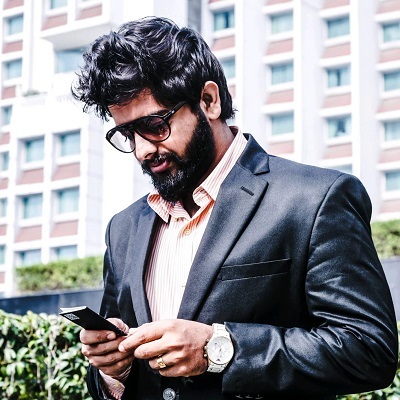 He is currently driving the marketing initiatives for Zoho Cliq – an internal communication tool and also a guest faculty member at the Triumphant Institute of Management Education. Before joining Zoho, Padmanaban oversaw Uber’s Chennai campaign. He built strategic brand partnerships and identified factors that helped the brand gain traction and improved consideration. Throughout we have focussed all our resources on high quality delivery, research and constant improvement. We invest in providing the best solution – with no salespeople or advertising – and our grow (sometimes doubling in a year) comes from personal recommendation. When partnering with a technology company, it’s critical to align in terms of culture, methodology, and the software itself. We have a clear view on how to drive performance improvement and it is resonating with HR and Talent leaders in the UK and beyond. Annual and HR led talent models have not delivered. In fact they have been an obstacle to meaningful performance and development conversations. Evidence shows us that a framework of coaching style questions, supported by regular feedback and agile goals creates an environment of engagement, employee ownership and ultimately – performance improvement. Complex, administration-heavy and contrived systems have failed. We have built the simplest performance platform in the market, recognising that managers and employees do want to perform at a high level – but need agile in-the-moment tools to support then in the fast-paced world of work. As well as the ongoing dialogue – we also created a simple way of capturing and collating key talent data to inform pay and succession decisions. Improving performance is a journey not a destination. So HR and Talent leaders need real-time insight into where performance engagement is and isn’t happening. Neither the carrot or the stick work. It’s about building a culture of accountability, communication and transparency. None of which can be achieved with annualised ‘tick-box’ data. Investors in People, a community interest company and an agent of change, calling for a movement that puts people first – for the benefit of every person in every workplace, for increased productivity across organisations, and for a stronger, healthier and happier society. LumApps is a social and collaborative intranet designed to connect, inform and engage employees. This innovative digital workplace equips organisations to break down silos and streamline internal communication. Fully integrated with your productivity suite, LumApps simplifies access to all corporate content, business apps and social features, in one place. LumApps serves prominent corporations around the world such as Colgate Palmolive, Logitech, Electronic Arts, Essilor, The Economist, Veolia, Air Liquide and Airbus. No one should dread Mondays. At Peakon, we’re passionate about changing the workplace for the better. Taking the guesswork out of managing a workforce, Peakonbrings real time data on the people and culture in your organisation to enable data driven decisions and proactive people management. Our goal at Peakon is to enable the world’s best companies to have real time people analytics to help solve the key issues and make everyone more engaged in their work. Peakon takes minutes to set up and delivers tangible improvements within a business in less than 3 months. Since launching in January 2016, we’ve partnered with over 500 businesses such as BMW, CapGemini, Harrods and Easyjet to help them measure and improve employee engagement. Fresh Intranet is the culmination of years proven innovation, knowledge and experience from multi-award winning Content and Code. Since the inception in 2001, Content and Code’s vision has been always to be the most trusted Microsoft partner in the world and are a multi-award winning Microsoft Gold Partner. After 17 years of building hundreds of cutting-edge intranets, Content and Code has great insight into what works and have built this knowledge into Fresh. Fresh intranet is designed to get teams working together, faster. Content and Code believe that intranets have a vital role in the modern workplace and should provide employees with relevant segmented communications, support engagement initiatives, help new employees ﬁnd their feet and generally live up to the hype promised by Microsoft cloud technologies. As well as unleashing Ofﬁce 365 in your business, Fresh is a digital communications solution, it is accessible in the ofﬁce or on the move. Their experts have packaged up the functionality yo requests in thousands of workshops and looking at real intranet analytics to see what features actually get use. Poppulo is a pioneering global internal communications software company working with many of the world’s biggest and most successful companies and organisations. With its HQ in Cork and offices in Boston, the company previously known as Newsweaver has created the world’s first all-in-one software and services platform built specifically for employee communicators, to enable easy measurement of the impact of communications across multiple digital channels – email, intranet, video and enterprise social networks. Poppulo’s mission is to create innovative products and services that make companies great by releasing the power of their people and putting Internal Communications at the heart of organisations. Qlearsite is an end-to-end workforce analytics platform to help organisations become more successful by making smart, informed decisions about their people. Qlearsite’s engagement tool specialises in understanding the voice of the employee. Our natural language processing software can turn thousands of open-ended survey responses into measurable insights which can then be linked to business performance. We currently work with numerous large organisations including Deloitte, Capgemini, Virgin Media and E-on. Questback was founded on one simple premise – people matter. They provide the necessary insight that is at the heart of business success. We build scalable solutions that help global organisations achieve competitive advantage and create a high-performance culture, by improving employee engagement and productivity, and customer experience and loyalty. Questback’s solutions are purpose-built to drive meaningful dialogue across the entire engagement lifecycle, seamlessly capturing all types of feedback, whether on-demand, always-on, scheduled, or process based. Our solutions provide the ability to collect insights and use these to accelerate real change while deepening connections with employees and customers. They combine the power of dialogue and openness with the built-in ability to analyse feedback and transform insight into actions and measurable business benefits. Interact is a global enterprise software company that serves intranet software to over one million users across more than 800 organisations. Our mission is to inform and connect every organisation’s greatest asset: its people. We specialise in solving internal communication and employee engagement challenges by combining our sophisticated intranet software with outstanding professional services, focusing on developing long-term strategic partnerships with our customers. Software is our craft and our passion. At Zoho, we create beautiful software to solve business problems. We believe that software is the ultimate product of the mind and the hands, so our products are forged by craftsmen, rather than churned out by machines. We work with organisations in all sectors to design and deploy fully tailored onboarding, engagement, pulse and exit surveys. In fact any people survey you want. We offer big consultancy technology with small consultancy service, agility and affordability. We will help you bring your people survey data to life without spending a fortune. Do you just want to get your survey(s) up and running with minimal hassle? We believe in making it simple, we’ll guide you through the process and support you all the way. Whether you are looking to put a brand new survey in place or breathe life into an existing one we will work with you to create a survey that is tailored to what you are trying to achieve. We know that you are mega busy so we will keep it stress free and painless. Do you want quicker access to your survey results and be able to play around with the data on an ongoing basis? Our survey analytics dashboard provides you with instant and continuous visibility of your data. Easily drill down into the numbers, compare between different parts of the business, create cool looking charts and reports and share insights. Access all your people surveys through one platform to gain insight into the employee experience throughout the whole lifecycle. Already have surveys in place, but struggling to make sense of the data? We can simply upload your existing data into our survey dashboard. Do you know what you need to work on, but need support to make it happen? Our survey dashboard significantly increases the accountability managers have by allowing them to have access to their own data, define action plans and run ad-hoc pulse surveys to track changes over time. Talk to us to find out how we can supercharge your employee surveys. Social Seeder is an employer branding solution that gives your ambassadors an easy way to amplify your brand’s reach by sharing your stories across their social networks. Like all the best Silicon Valley success stories, Oak Intranet (formerly known as Orchid) started from humble beginnings, with a simple idea, in a small garage in a quiet residential street. In the middle of Newcastle. 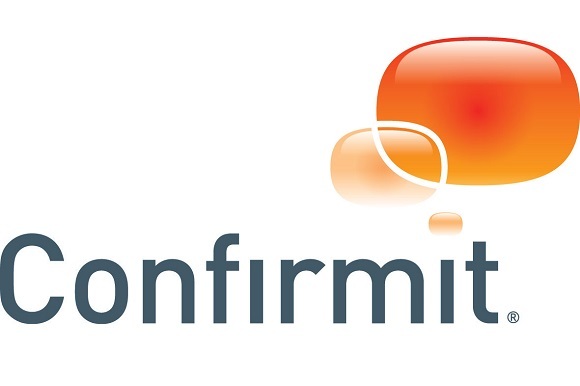 powered some of the world’s leading organisations’ intranets across over fifty industry sectors. Working with our incredible customers, we listened a lot and that formed the core principles of Oak’s development and philosophy. Brand engagement is all about a positive and seamless customer experience with your brand at every touchpoint. Our inside out approach starts on the inside with inspiring and motivating employee internal communications that turn your people into brand ambassadors. Once we’re under the skin of your brand, we then plan, design and produce brilliant creative marketing campaigns that really get your customers talking, fully supported and embraced by your people. It’s a win win situation – customers have a consistent, fantastic brand experience delivered by informed and motivated employees. Scott has enjoyed a varied, portfolio, career as a research scientist, data analyst, human resources professional, board member of an international science festival, business consultant, musical producer and business founder. This unique blend of science, the arts and business lead Scott to form Sculpture Consulting in 2012. Sculpture aims to inspire people to think differently about themselves and change. 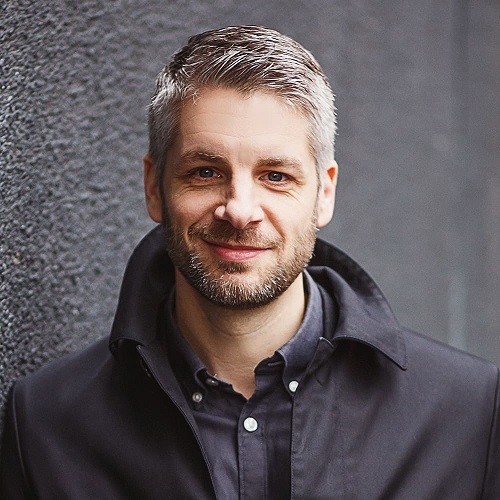 Scott is an international keynote speaker, writer, coach and consultant who works with companies and individuals from all over the world and from across the business sectors. He is also a visiting lecturer at several of the UK’s leading business schools and universities. Digital transformation appears as a key item on most organization’s strategic plans. But many are not feeling as urgent to harness the true power of digital when it comes to their people as they are for other areas, likely because they have not realized it’s true power yet. Technology can make a tremendous impact on culture by helping create a social tissue, expand empathy and enable employees to feel part of something larger — empowering them to truly be the best versions of themselves. To embrace this new reality, organizational leaders must build and promote an internal culture that is as agile as the technology being implemented. It is critical that they clearly demonstrate all the positive impact that the technology will have on their people and give them a voice in the transformation. To effectively do that, they must first understand the incredible value themselves, and leverage the data and insights that technology brings forth to continue to better understand and shape their culture. How Brighton and Hove Albion Football Club uses its values and culture to drive high performance and success from its employees. Exploring the club’s journey from the Championship to the Premier League and how this was underpinned by the club’s Team Brighton Values. Future for those companies involved in Fashion Industry is becoming uncertain and engagement is a very powerful tool to tackle that uncertainty. Most of the HR practitioners agree on the impact that motivation has in order to retain employees and in Inditex, we do believe that the best strategy to motivate employees is to show them in a very clear and understanding way that they can internally grow and promote just having the right skills, attitudes and knowledge. If they bring the right attitude, our Managers Development Program will support them in order to develop the skills and gaining the knowledge that they will need in order to be part of our next generation of managers who will be helping the company to remain on the top. Join me in order to discover how the biggest fashion retailer worldwide fosters the internal promotion. As the workplace shifts in response to the onslaught of digital transformation, business leaders and employees globally are challenged to revolutionize their talent and skilling strategies to evolve with the Digital Age. In this session, Melissa Harper draws on her decade of experience executing enterprise-wide talent transformation to shape a digital culture and align to strategic business goals. Employee engagement is paramount in the financial performance of a company. Active engagement of employees could impact in improved productivity which in-turn contributes to the profitability of an organization. While it may not impact directly add to one’s profit but it certainly helps in several indirect ways. Let’s take a glance at those factors related to employee engagement that indirectly contribute to the profitability of an organization. How do we define, create & maintain a culture? Why does it matter in a business? And how can a strategy centred around your people directly benefit the bottom line.? In this talk Helen takes you through the steps required to create a core culture that drives results using practical examples & stories. You will learn how to take the pulse of your organisation, make an immediate impact….without a budget, how to attract & retain talent no matter your location or industry and how to get better work delivered faster with fewer people. You will have practical take-aways that you can implement immediately in your organisation to gather data and show immediate results and it won’t cost you a penny. Create a culture, engage your employees & watch your business thrive. Ever wondered why staff can’t tell you their company values even when they’re on the wall? Ever wondered if it’s possible to get the essence of an organisation in a few words? Ever wondered if you could get everyone engaged in the process and agree the end result? Despite having worked on values projects previously, I still asked these questions when planning to review the RCPs values given that the organisation does such a wide range of work. This presentation takes you through the journey we took, how we engaged a range of stakeholders and how it all ended up. The Big Issue has a 27 year plus history of helping homeless and disadvantaged people to help themselves by buying and selling their magazines with their own cash and keeping the profits. The magazine is an alternative to begging and crime that creates real personal and social change. 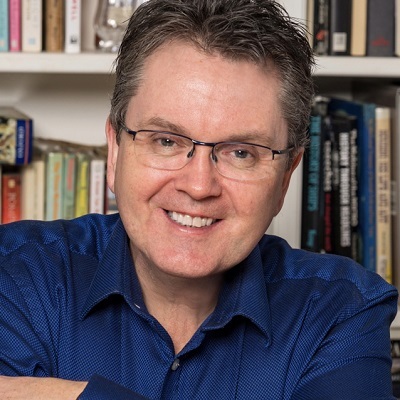 Stephen Robertson will explore the evolution of the magazine and how it’s innovative approach to tackling social ills builds the personal resilience, recognition and rewards that are essential for personal change in one of the toughest face-to-face jobs in the United Kingdom. HMCTS is responsible for the administration of criminal, civil and family courts and tribunals in England and Wales – and non-devolved tribunals in Scotland and Northern Ireland. We handle about four million cases a year, operate from around 350 courthouses and tribunal centres, and employ approximately 15,000 people, most of whom are frontline, operational staff. We launched a once in a generation transformation programme of our services in 2016. To enable the culture change that underpins our transformation we wanted to re-connect our employees with our organisational values: Purpose, Humanity, Openness, and Together. These values link us to our parent department, the Ministry of Justice (MoJ), and all the other agencies of the MoJ. In January 2018 we started a year-long values communications and engagement campaign. It started and ended with a survey measuring awareness of the values. We developed innovative tools, workshops, and media to help people explore what our values means to them and find ways to live them every day at work. This session will share what we did and what we learned from our year of values. Social intranets are the gateway to a wider digital workplace that drives a better team collaboration and productivity. Hear how leading companies promote their corporate culture and share targeted information based on users’ profile. LumApps helps people work smarter and faster thanks to a full integration with your collaborative suite. LumApps’ social features enable employees to communicate and share ideas even on the go. With concrete use cases, learn how to connect, inform and engage employees in an innovative digital workplace. Having a wide variety of opportunities for employees to have a voice at work is essential when creating a culture where all employees are truly valued as stakeholders within the organisation – but taking action and being authentic with the responses is much more difficult than it sounds. I want to share with you the journey we have started within my organisation to increase the quality of interactions with our employees, move from a “parent- child” relationship to an “adult – adult” relationship, increase job satisfaction and aim to delight all employees so that they go home more energised than when they arrived! If Your Intranet Could Talk, What Would it say about Your Organisation? In a world of exponential data growth, shifting communication priorities, and changing workforce demographics, what can a modern intranet reveal about your organisation? Through Nomad Foods we have brought together very different businesses, BirdsEye Iglo and Findus – never an easy process. But with a highly centralised model in Birds Eye Iglo and a very decentralised model in Findus such an integration was an even greater challenge. We wanted to create one company with one vision and one supporting set of values for 4,000 employees across 13 countries, 15 offices and 9 factories. To achieve our ambition we had widespread restructuring and reorganisation, ongoing newsletters, quarterly CEO webcasts, a new culture survey, the launch of a new performance management framework, one approach to talent management and the launch of the Nomad Foods People Awards. We achieved this in tight timeframes and are now experiencing ongoing great business results and ever-increasing levels of employee engagement. Not many organisations can boast being fully strengths-based. Often, it is a presenting talent management or talent acquisition issue that leads to a single strengths-based solution being designed and delivered. In this presentation Paul will share how he led an organisation’s journey of transformation, culminating in the successful adoption of strengths-based approaches into people management philosophy and practices. This contributing to both increased employee engagement and productivity. He will also explore how piloting ‘playing to strengths’ is playing out at another organisation. As Paul shares insights and learning, why not see if you can spot any of his standout strengths. This presentation is ideal for anyone curious about how strengths-based approaches can unlock sustainable performance, whether at an individual or organisational level. To help our colleagues ‘survive and thrive’ we have to value their physical and emotional wellbeing as this reflects our values and behaviours as a business and helps us to engage and retain our talent. The session will cover how the CIPD is putting diversity and inclusion and employee wellbeing at the centre of its ‘good work’ agenda, helping to put the ‘human’ back into human resources and encouraging employers to gather and act upon the ideas and expertise of their employees. Managers account for between 70-80% of the difference in employee engagement. Yet, in spite of the estimated $720bn p.a. being spent on this area in the US alone, very little is finding its way into the development of manager skills and, even when it does so, this often translates poorly into behaviour change and actual results. This session takes participants through the steps they need to take to help managers change the behaviours that matter and engage their employees in doing so. Jo has been a volunteer with the Engage for Success movement since its launch. As Strategy Director she sits on the Core Team and co-hosts the weekly Engage for Success radio show. EFS radio draws guests from across the engagement world with interesting stories to share. The Engage for Success agenda is absolutely aligned with Jo’s vision ‘to make workplaces better places to be’. How employee Engagement in TCS is helping the organization’s business transformation journey. Refinitiv Case Study: Storytelling – Silver Bullet or Silver Buzzword? Storytelling, it’s the new word on the employee engagement street. But isn’t it what internal communication groups and HR do every day and have been doing for years? Are we putting lipstick on a donkey or really changing the way we communicate? This presentation looks at the new trend, how it can be achieved and what the prize for engagement is if we get it right. How can a storytelling framework be developed and benefit your organisation? Wellcome is serious about understanding the benefits of a 4-day working week. Since October 2018 we have been exploring and researching the complexities involved in implementing a 4-day week within our organisation of 800 people. We’ve been working with consultants, LEK, across 2019 and a decision was made in April by our governing body about whether this was something we could successfully trial. Chris Newstead, Head of Internal Communications, will explore the rationale behind the proposition and the process that led to a decision, and what we can all learn from looking to work less to achieve more. LEEDS UNIVERSITY Case Study: Are the robots coming? What every HR professional needs to know about AI in HR. 2019 is proving to be the year of AI, but what does this mean for HR professionals? This talk with cover the basics of AI in HR and how HR professionals should be considering emerging technologies in their business and HR service delivery. The talk will also cover case studies that look at the application of different AI technologies in different HR functions. There are very few workplaces where one can score high engagement, make a real difference to patients and their carers by transforming the lives of some of the most vulnerable people in our society. However, how do you achieve high-levels of engagement in an environment where your people witness behaviours which can be traumatic, abusive or even result in harm? This presentation will explore the approach we have taken at St Andrew’s from recruitment and throughout the employee life-cycle, some of the challenges we have faced and the successes we have achieved in the last 3 years. Three years ago the business was embarking on an aggressive growth strategy. The only downside of this was where we got all of the leaders we needed to support this. Sounds simple, we could just buy them in or throw cash at developing people. The catch here was we didn’t really have the budget for either of those things, so the only solution we had was to grow our own, and fast. The solution was a talent programme designed to create the leaders we needed. After that we built Academies to continue that trend, which today are thriving and developing leaders from the entry level through to Directors. It’s simple right. Engaged employees deliver better change? Surely. This is what has always been quoted although I never like the word “surely”!. For me the bigger question is how do you engage your employees. Do you involve them in the decisions upfront, allow them to influence during or just ask them for feedback at the end.The simple answer is always the best, maybe it would be great to do all 3. Let me explain all this and more, through the Waitrose and Partners engagement lens, an experiment in how to embrace the power of your employees. Faced with the uncertainty of Brexit and the impact it would have on recruitment along with a rapid expansion programme set to start from the beginning of 2019, we wanted to create an engagement and development programme that would attract and retain professional Bartenders. 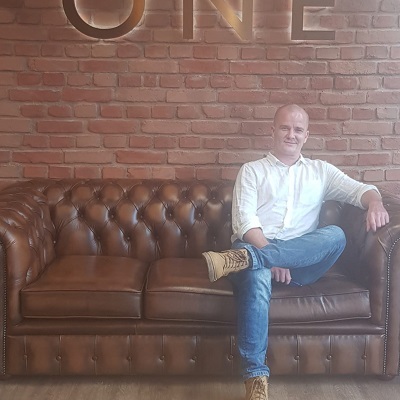 After the take over from Stonegate Pub Company in August 2018, Be At One was offered the opportunity to take on a vast number of new sites starting from January 2019. The goal is to open 14 bars in one year which would require almost doubling the current bartender levels which is 420 to 700. The challenge was to attract a vast number of new staff as well as reduce turnover of existing staff to retain strong, high performing bartenders across the business. We were also tasked with positioning the company to be able to consistently train and induct a vast number of bartenders continuously throughout the year. Most digital strategy fails due to ‘Fuzzy Definitions’. Digital strategy is a key component of organisational strategy – driven from the top. This presentation explores how digital technologies can be utilised by leaders across the organisation to drive engagement and connection – and what steps to take to become a more ‘connected leader’. Customer Service and Support has over 200,000 customer interactions every day. Find out how Microsoft Culture has driven new strategies within Customer Services and Support to put the customer at the heart of everything we do. Our leadership principles helped drive new initiatives to engage engineers and advocates through an Ambassador Programme. How did we do it across 30 countries, 41 languages and 26,500 agents. Defining your employer brand and employer value proposition can be a daunting task – in this session, Paul Bennun shares his insight from DAZN’s current efforts to redefine both as they continue their global expansion. Expect to hear about DAZN’s background and history, the approach to researching and involving employees in the process, testing and buy-in, and the final roll-out of the new brand and EVP. ING Case Study: How do you flex? At ING in the UK, an issue that was persistently a top dissatisfier in employee surveys was variability in managers’ attitudes to team members using informal flex work. In workplaces at large, informal flex work was increasingly common – and the trend is only likely to increase. Informal flex work has also been called the most cost effective perk you can give your employees – effectively zero cost and studies show that workers often give more and are more engaged if you trust them to work in a way that suits them and the business. It is one of the levers highlighted by the Gender Equalities Office to potentially help narrow the gender pay gap. However, to move to a workplace in which informal flex work is increasingly accepted, it takes behaviour change from both managers and their teams. Running an internal campaign with real examples of colleagues across the bank using flex work to be more productive and balance their job with interests outside work. Campaign was launched at a quarterly meeting by our CEO with her own statement about flex work. With retirement coming later and people staying in the workforce for far longer than before, Investors in People will be exploring the challenges and opportunities of engaging with five generations in the workplace. Plymouth University Case Study: What’s Up With Engagement? A decade ago, David Macleod and Nita Clarke in their seminal report ‘Engage for Success’ suggested that employee engagement was ‘a key to unlocking productivity’. However since then, and despite a plethora of engagement initiatives, fads and strategies, UK productivity has flat-lined and the average French worker can take Fridays off and still out-perform their British counterparts. This session proposes that in our desire to find a solution to the productivity and engagement question, many of us have been lured by some of the more glamorous approaches of consultation and involvement at the expense of the basics and that it is only by increasing basic managerial competence that we will start to solve this issue. Too often, we promote people for the wrong reasons into poorly designed jobs and fail to provide them with the skills they need to handle complex and difficult issues. We know that trust is a central pillar of engagement but this relies on the ability of managers to foster ‘good work’ by negotiating positive relationships and resolving conflict before it escalates. Moreover, the need for these key competences will only intensify in an era of automation and downsizing, and will be critical if the concept of self management is ever going to get the traction it deserves. The way we lead our business conversations defines the level of engagement of staff and stakeholders. Thinking and discussing together about strategies, action plans, and policies is key to organisational efficiency. The Art of Hosting conversations that matter (known in-house as ‘Participatory Leadership’) has allowed us at the European Commission to work with the collective intelligence present in a context, be it a team, a whole department, or groups of European stakeholders. It helps build trust, relationships and collaboration, carving out space for reflection, innovation and networking. The practice of Participatory Leadership has been used at the European Commission for more than 10 years. 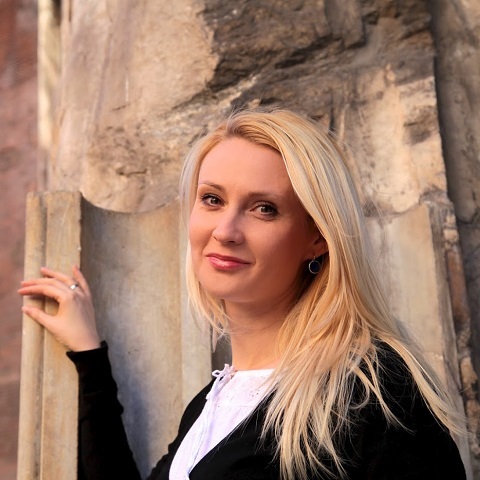 Olga Muravjova and Dace Kalniņa will walk you through the journey of how the participatory approach has grown over the years and helped create conditions for meaningful conversations, resulting in more efficient policy-making and more engaged and satisfied staff. The presenters will share some real life examples of where Participatory Leadership played an important role in achieving organisational objectives for the European Commission. Developing values that are unique to an organisation is a critical enabler to improving employee engagement. We then must strive to live the values in all that we do, being prepared to call out when our values are being compromised. Support, Ambition, Integrity, Learning, Ownership and Respect are Ofwat’s embedded values. They are weaved throughout our organisational policies and approaches, informing the way in which we assess our individual and collective performance. Employee engagement continues to be a journey of discovery. We’ll explore the journey that Ofwat have taken so far, the achievements and the lessons learnt. The Wilson James group provides safe, secure, customer-led solutions to more than 300 clients across the UK and Europe. Wilson James have been raising standards for over 25 years across three core service lines; security, construction logistics and aviation services. Enabling our customers to transform service provision through technology is fundamental to our business. With accountability for the group wide People Strategy Sam will lead the internal digital transformation to support our workforce of over 5000 employees across 300 sites. Having led several significant people and technology transformation programmes, Sam’s latest challenge requires a digital people strategy which connects and engages employees from a diverse workforce, who are often based off site and have limited corporate technology infrastructure. Sam will share her challenges in identifying and designing an employee digital profile to inform the employee digital transformation plan. With 155 million monthly active business users Office 365 takes up a lot of space on most to-do lists, but is it making life better or worse for employees? With requirements and technology becoming increasingly complex, getting back to basics is more important than ever to keep a focus on the most critical element of all – people. Tier 1 Microsoft Partner Content and Code summarise the ingredient for success and showcase Office Depot who are embarking on a transformative project to change the way their employees work. “Providing an industry leading employee experience” – a great objective but a big task! Grainne Kelly, HRD, Securitas UK, explains the Securitas employee excellence model and how a step by step approach builds engagement at every stage of the employee journey. Highlighting the challenges and the achievements, Grainne outlines the next steps in increasing employee engagement across the diverse employee audiences at Securitas UK. Debbie will share some examples of how Citi’s Talent, Learning & Diversity Team has been using behavioural insights and ‘Nudge’ techniques to drive engagement and facilitate change across the organisation. Traditional ways of working and systems struggled to support flexible working – it was all about presenteeism and showing commitment by being in the office. At Spektrix we’ve supported flexible working since we were founded 12 years ago and it is now a fundamental part of our culture which helps us to recruit, support and retain great people. We focus on delivery and results, not face time and build strong teams where there’s a sense of collective responsibility and clarity on objectives. This requires trust, training, role modelling and consistency. It results in us being able to access a broader talent pool, to build remote teams, to support those with particular health or family needs and to achieve consistently high employee engagement scores, particularly around work/life balance etc. It’s easier for some businesses to achieve than others, and is not without its challenges, but if leadership can demonstrate their commitment to flexible working and building a diverse workforce, the impact on performance and productivity can be significant particularly since demands from the new generation of workers for this approach will only grow. A UK organisation with a 70-year history, CDC has recently refreshed its company values to promote an internal culture better aligned with its new strategy. 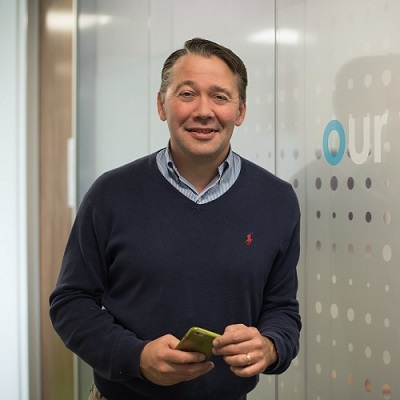 Alongside new leadership, a rapidly expanding population in its UK headquarters and offices in Africa and Asia, together with a nascent intranet, the company has been transforming itself swiftly over the last 18 months. Adrienne Glad, Head of Internal Engagement, and Gabrielle de Wardener, Head of HR Business Partnering, talk about their company’s journey over the past year to re-assess its internal culture, the collaboration between their respective teams, Communications and HR, to refresh the company’s values and how they plans to embed the culture change globally. Commercial opportunities include exhibition space, sponsorship packages with prime speaking slots in a stream of your choice, representation on panel debates, sponsored round table opportunities and more. Sponsors now have the opportunity of including in their package lead capture technology using iPads and iPhones providing the ability to scan delegate badges releasing contact details, presenting company literature, real time reporting and effectively recording the discussions you’ve had at the event. Following the opening plenary session seminars run in parallel whilst round table discussions take place throughout the day, providing delegates with rich engaging content. Park Plaza London Riverbank, a Central London hotel located on the south side of the River Thames. The hotel sits near many of London’s most legendary tourist attractions.